It's 6:08 PM. We're Open. The Hi-Pointe has been an iconic St. Louis destination ever since this spot was a little drive-in in the 1980’s. 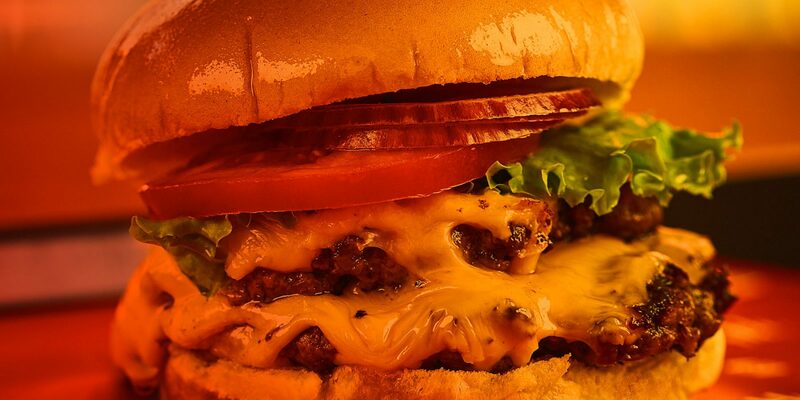 Our mission is to bring it back to life with mouthwatering burgers and original sandwiches. Our chef-inspired menu uses locally sourced ingredients. Thanks for stopping by to say Hi. Our burger and sandwich joint is located in the historic Hi-Pointe neighborhood, just off of highway 40. This spot is a great place to pop into before or after events around town, or even as the main event. The menu has something for folks of many walks of life from our creative burgers, sandwiches, and shakes, to healthy salads and a menu for the little ones. Following the tradition of killin' it, Hi-Pointe Drive-In is brought to you by your friends from Sugarfire Smokehouse, among a few of your other favorite eateries. See our full list of sister restaurants down below. Our team is made up of the greatest people we know and talented chefs that create a unique experience every single time you come in, order delivery, or cater your event. We love our planet just as much as we love a good burger. Our restaurant was built using reclaimed shipping containers. And hell, even our to-go silverware is produced with our environment in mind. At Hi-Pointe Drive-In we also try to help our little planet by sourcing our products locally. From bread being baked right here in good ‘ol St. Louis, to grass fed grain-finished beef from KC MO, we get you the good stuff from not very far away. We pride ourselves on serving you bread from Fazio's, beef from Creekstone Farms, ice cream from Ronnie's Ice Cream, and refreshing soda from Excel. Oh, and don’t forget about all of our locally crafted beer. All of these local guys help us to provide you with an amazing and guilt-free* dining experience. *all of those delicious calories not included. Just a little while after that drive-in from the 1980’s that we speak of, Chef Johnson started bringing you some of the most creative cuisine this fair city has seen. Mike was the mind and the knife behind such St. Louis gems as Cafe Mira, Boogaloo and Barcelona and is still the owner of a few little award-winning BBQ spots called Sugarfire. Johnson has always prided himself on creating approachable, chef-inspired and fun food for everyone that dines in his spots. The Hi-Pointe Drive-In is no different from his steadfast vision. Mike hopes that you love everything as much as he loved creating it for you.